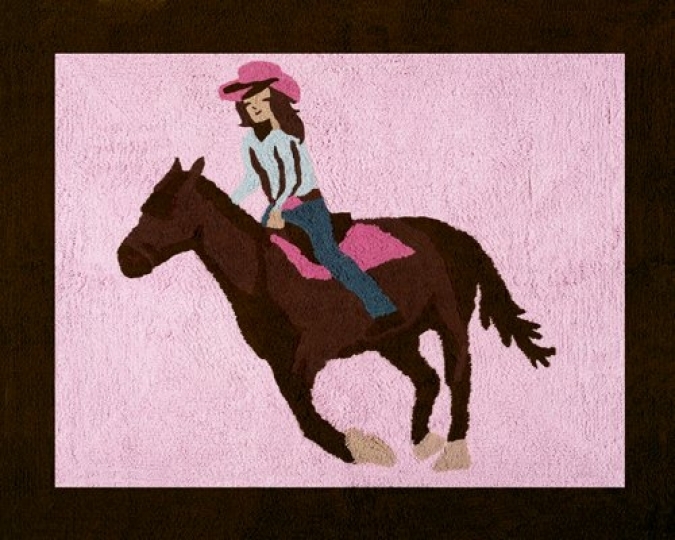 Add the finishing touch to your room with the Western Horse Cowgirl Floor rug by Sweet Jojo Designs. This hand tufted, 100% cotton yarn accent rug is made to coordinate with this Sweet Jojo Designs Bedding Collection. This rug with non skid backing will be a great addition to any bedroom or bathroom in your home.